Until the federal ban is removed, Americans will never know exactly what is leading to mass shootings in this country. Another week. Another senseless mass shooting. The lives of five more Washington state families changed forever. 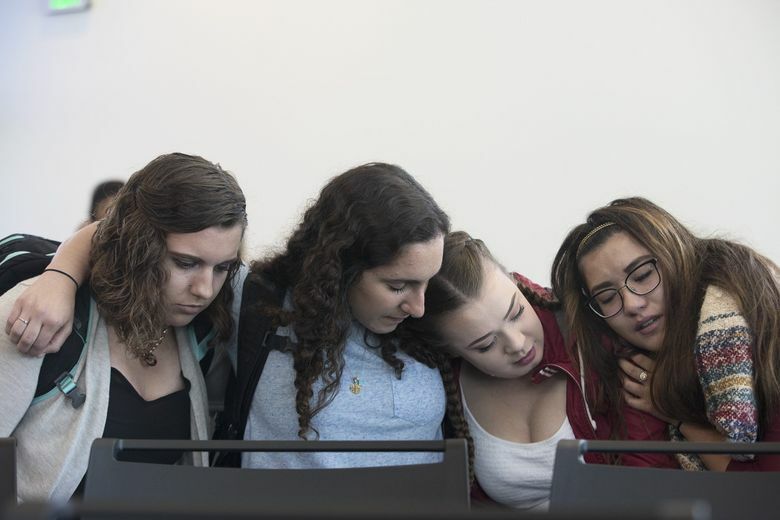 Were there warning signs the young shooter’s friends, family and classmates should have recognized? Could anything have prevented the shooting at a house party in Mukilteo on Saturday? Or the four other mass shootings in Washington, or the 217 across the nation so far this year? We need to know the answers to these questions, but, since the fiscal year 1997, Congress has frozen nearly all funding on federal firearms research. Scientists who want to try to answer these questions or look into the impact of a patchwork of state and local gun laws must find private or state money to support their work. Harborview Medical Center in Seattle has even started using crowdfunding as a way to raise money for its research. Wouldn’t gun owners like to know the answers as well? Supporters of the research ban say gun ownership is not a disease. That is true. But gun violence is. Seattle is again ahead of the curve on a national issue with a gun-and-ammunition sales tax that will generate money for research at Harborview Injury Prevention and Research Center, in addition to paying for prevention and education programs – if the tax survives a legal challenge. Harborview researchers and the city of Seattle have already contributed to the national understanding of gun violence, with a 2014 study that found gunshot survivors were 21 times more likely to return to the hospital during the next five years with another gunshot wound, compared to those who had been hospitalized for other reasons. Harborview is now following up regularly with people who come to the hospital with a gunshot wound and offering them services ranging from therapy to substance abuse counseling and job search assistance. After researching the impact of these services over the next two yeas, they hope to develop a program that can be used at hospitals around the nation. In another study, Harborview researchers looked into the issue of proper gun storage. One of the main findings they released in January was that they were simply unable to draw definitive conclusions because of a lack of firearm data. The Centers for Disease Control and Prevention has a responsibility to protect our nation’s public health. The firearms research ban must be lifted. Congress should and must spend taxpayer dollars on this critical scientific research. They owe it to the three 19-year-olds who died and the 18-year-old who was badly wounded in Mukilteo. And to the parents of other teens who shouldn’t have to worry their kids’ lives may be in danger when they sit around a bonfire with friends.